Robots work in the industry, help in households, play football – or make music as an orchestra! 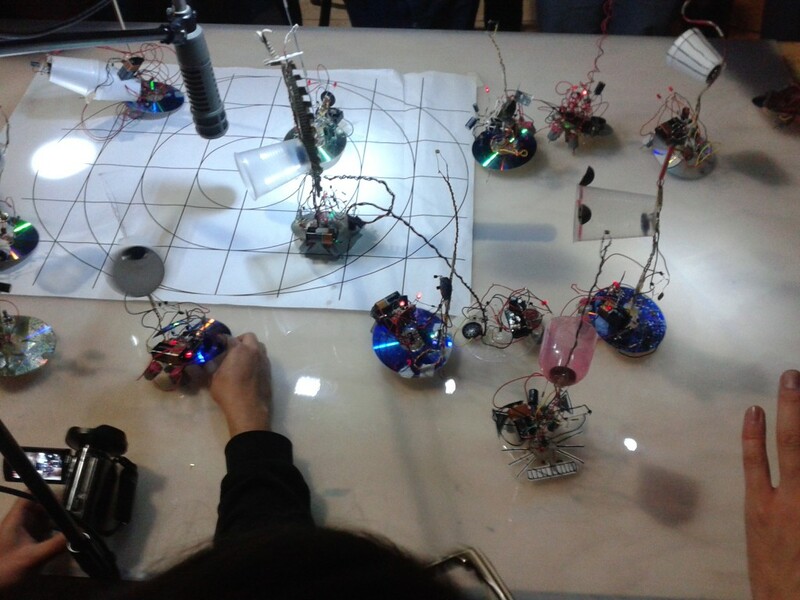 I conduct workshops where an open group creates the ROBOT HOUSE MUSIC ORCHESTRA. People tinker, hack, fix, reuse, and assemble materials in creative and unexpected ways and share their production process with others. Do-it-yourself (DIY) encompasses a range of design activities that have become increasingly prominent. DIY practice is not only a set of methods, but communities, new values, impact in the domains of traditional crafts, technology development, and sustainable design. 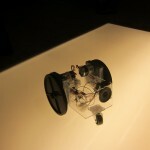 In this workshop, participants build and play with a simple, modular and fully analog sounding robots. The basic circuit generates interlinked sound output and has a completely modular, voltage-controlled architecture. This means that it can produce single-voiced drone or can be combined with other units to make complex swarms of drone and signal feedback interaction. Through this process participants discuss how and why the whole thing works. Motivation for the project is knowledge, new skills, and the enormous feeling of satisfaction that comes from building your own equipment. I am keen on destabilizing preconceptions of role and function as well as dissolving the barriers between producer and consumer. Particularly to this end, I employ the practice of electronics hacking and circuit-bending of common technologies to illustrate that function need not be dictated to the end user. Robot House Music has been inspired by Daphne Oram, whose pioneering achievement, a synthesizer she built in the late 50s, is almost forgotten. She is best known for her design of her Oramics system. She developed her Oramics ‘drawn sound’ system, which consisted of a large machine that enabled patterns drawn on transparent 35mm film to be converted into sound.